Colart presented new technology and innovative products at the annual international trade fair for hobby, craft and art supplies in Frankfurt, Germany. A mainstay for this sector, for 2018 the fair brought together over 300 manufacturers from around the world. “Creativeworld is unparalleled. It is the biggest and most international platform for the hobby, crafts and artists’ requisites sector. With their portfolios of brand-name products, our exhibitors cater for all important segments of the market”, says Creativeworld Director Michael Reichhold, Messe Frankfurt Exhibition GmbH. 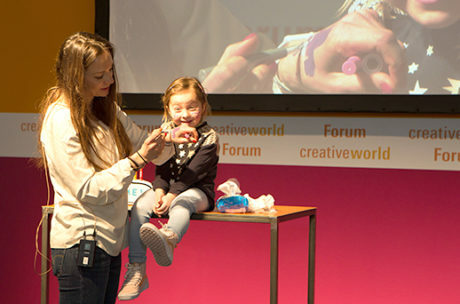 Every year, Creativeworld attracts more than 8,600 trade visitors to Frankfurt am Main – and most years more than half them from outside Germany in 2017. Over recent years, the leading trade fair has developed into the foremost magnet for top decision makers from the sector’s wholesale and retail trades. This was certainly the case for the 2018 fair, and Colart presented the best and most exciting news with its retailers. Colart’s new communications campaign ‘loved by’, which will preview at Creativeworld 2018, stars creative professionals with global reputations. Founded in 1991, Colart has been focussed on supporting their historic brands and learning from artists in order to create innovative products that can inspire every artist in the world. Colart has created a series of four films featuring an artist, print designer, fashion designer and creative director as part of an ongoing series titled ‘loved by’, which illustrates the groups findings that Colart’s broad range of products are utilised by a wide range of creative industries. The Bank is Colart’s key resource centre for any customer or agency seeking digital content, from product images to inspirational videos. All of the digital assets customers will see in presentations from Winsor & Newton, Liquitex, Lefranc Bourgeois, Snazaroo and Reeves are available to view and download online, alongside an extensive library of archival assets. With over 197,000 assets downloaded since the site launched in March 2014 it’s already proved to be very popular. Colart’s new B2B Portal will be a transformative tool for Colart’s customers that allows them to place orders 24 hours a day through a quick and easy self-ordering system, as well as view the entire product offering on one platform. 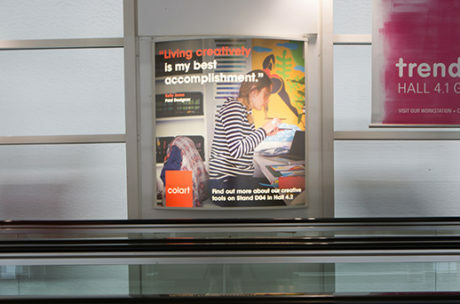 As commerce increasingly becomes digital, Colart would like to enable their customers to connect with them, seek ideas, find products and place orders whenever they want. The portal will launch in Benelux in 2018, before being rolled out across Colart’s markets. 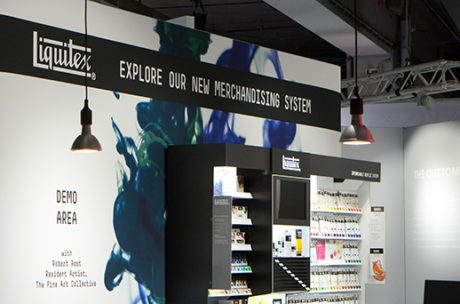 Winsor & Newton utilises shopper research to define their designs and develop and implement their in-store solutions through the principles of Attract, Engage and Convert. To demonstrate their initiatives over the past year, Winsor & Newton will present an interactive experience to engage our customers further. 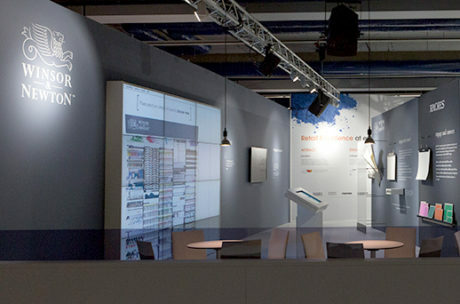 A projection of three five bay planograms for Water colour, Oil and Acrylic will reveal supporting statements and unveil impact on sales as result of in store implementation. Winsor & Newton is committed to developing tools and assets to enhance the customer environment and increase footfall and sales. Liquitex is the original artists’ acrylic. Invented in 1955, their first paint was embraced by the godfathers of Pop art. That game-changing formula paved the way for the professional acrylics, mediums and tools of today.2018 sees the start of a new Liquitex era. Research and insight come together to deliver a 360° brand refresh. The new product and packaging formats will increase options and functionality for the artist. Each Liquitex paint answers an artist’s needs and the harmonised and improved design across the portfolio will make choosing the right materials even easier for artists. 2017-18: A growing movement towards cadmium-free colours. The new innovation in acrylic colours has gone on to receive international acclaim from artists, trade and the sustainability community. Cadmium has always been an artist’s favourite, but due to health concerns, Liquitex were determined to find an alternative. 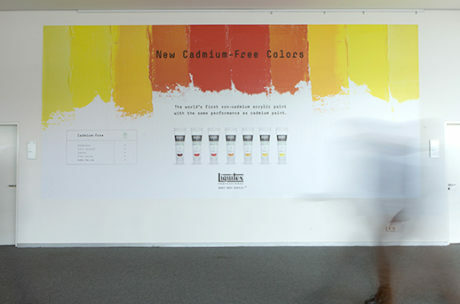 After three years of intensive research and testing, seven cadmium-free acrylic colours were developed, giving the same performance as their cadmium counterparts. 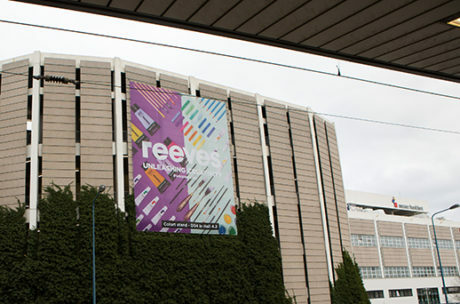 Over the course of 2017 our iconic British brand Reeves has been busy launching their new look around the world, in the UK, Europe and the United States. Their global media campaign ‘Show Your colours’ which runs until the end of 2018, has seen curious creatives from across the world embracing creativity. From campaign launch in August 2017 to the end of that year, the reach of ‘Show Your Colours’ hit just under 28 million with 1.8 million engagements across display media, social advertising and influencer collaborations. 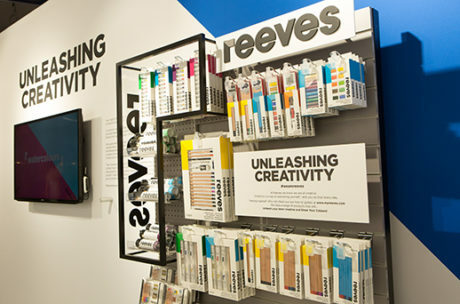 The Reeves packaging was carefully designed with international design agency Pearlfisher, who conducted extensive focus groups, across several countries. 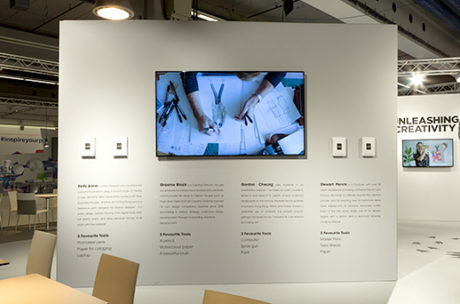 Since being rolled out during Q3 of 2017, the packing has attracted a huge amount of attention and praise and has even been shortlisted for an award by the Transform Awards in the category of ‘Best Use Of Packaging’ – recognising packaging design that best communicates a brand’s positioning and brand values. The Snazaroo Brush Pen and is a clever combination of paint and brush designed to bring ideas to life, wherever your imagination takes you. The precision brush nib is designed to make it easy to get the biggest ideas or the smallest details just right, allowing full control over the amount of paint used. No water or separate brushes required. Simply pop the top, twist the base and let the fun flow…whenever, wherever. Just a few turns and paint is delivered straight to the brush tip to help face painters create anything from robot tigers to frozen fairies, with no mixing or mess. 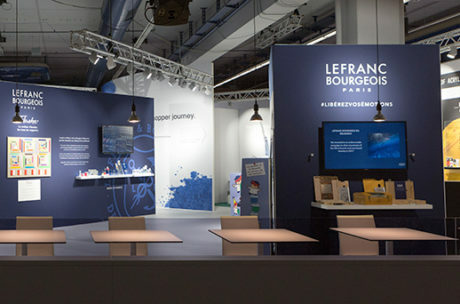 To coincide with the launch of Lefranc Bourgeois’ new identity the brand showcased their first ever integrated communication campaign ‘liberate your emotions’. Driven by the insight that painting is sharing emotions the brand created a film focused on the journey of a man triggered by colours and substances in his mind and body with an emotive message to connect to passionate painters. Contemporary art and culture magazine Elephant will open a new project space in White City, London, in Spring 2018. This exciting development for the popular magazine comes less than a year after it was a acquired by Colart from Laurence King Publishing in March 2017. The year also saw Elephant Art launch a new visual identity and new content rich website. 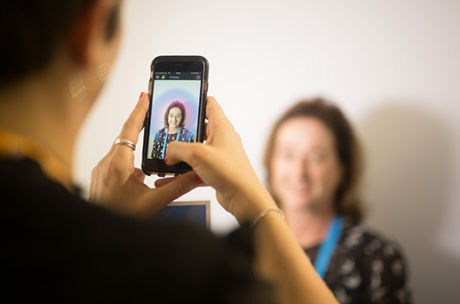 During our celebratory stand party visitors were invited to have a photograph taken of the colour of their aura. Most people had a reading of two or three colours which had varying reflections on their personality or mood. Our customers were then able to choose which colour related the most to their personality and choose a goody bag of that colour. There were ten different colours, and inside each bag were some Colart products so that our customers could ‘take home to colours of their aura’ and ‘create with their own aura colour palette’. Colours ranged from red, which represented passion to white which represented spiritual purity. The results were surprisingly accurate and Patrick Morgan was on hand to explain what each colour meant for our customers.